The San Antonio Cocktail Conference opening party had a chilly start as the cold front blew in as guests arrived to The Doseum The DoSeum. But inside, it was filled with food, people and of course cocktails! While the party seemed to be scaled down just a bit from last year (there were not any cocktails on the second floor) the selection of food was amazing to go along with the drinks. For me, the backroom was where it was AT—one of my favorite cocktails there was the Casamigos blood orange drink. It had the kick of a Serrano balanced by the sweet of the blood orange. And of course, drinking this cocktail makes you at least pretend that you’re like “The Clooney,” one of the founders of the brand. Casamigos blood orange cocktail with a kick. 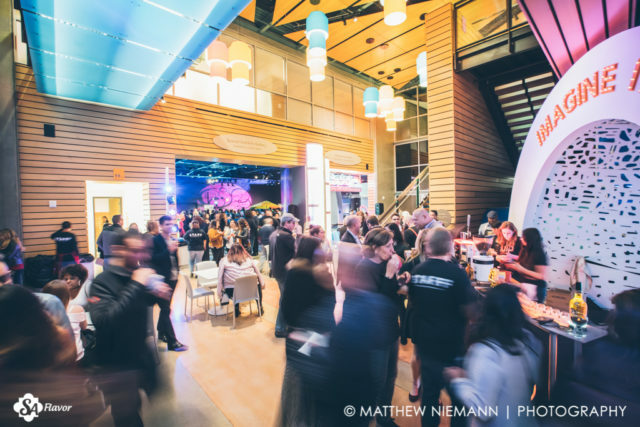 Photo by Matthew Niemann Photography. 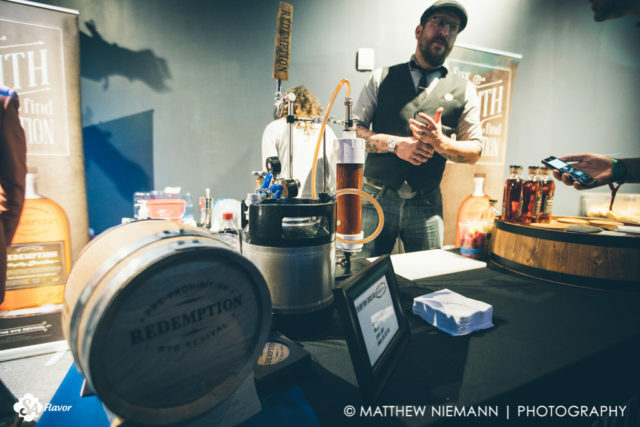 Nearby was a Redemption Rye draft cocktail by made by Eric Rosentreter. He told me that he’s been obsessing over draft cocktails and punches as a medium to showcase the versatility of the spirit. He had an elaborate setup where the Rye punch was being force filtered through lemons and raspberries. Best thing of the Cocktail Conference is meeting cool folks like Eric Rosentreter.Photo by Matthew Niemann Photography. Another elaborate machine was the Patron Añejo Old Fashioned—now you might think that Tequila doesn’t belong in an Old Fashioned, but as we found out in previous years it was incredibly tasty. 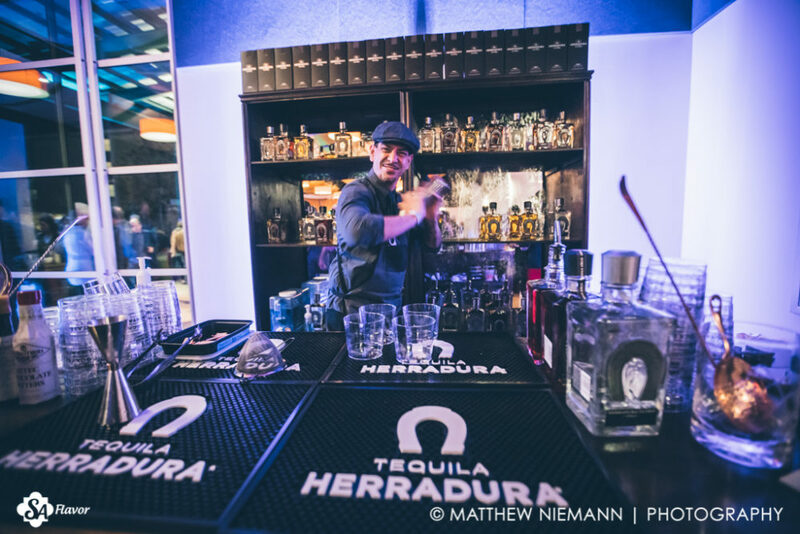 The filtered the Tequila through some coffee beans and vanilla to imbue the flavor on the spirit before being poured into an Old Fashioned served on a pristine cube of ice. 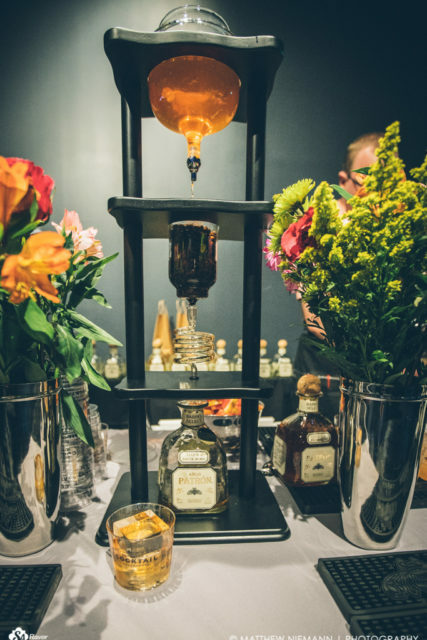 Filtering Patron Añejo through coffee and vanilla.Photo by Matthew Niemann Photography. The back room had some awesome food as well, notably the pulled pork slider from The Granary. I liked how they piled on the meat on a little bitty sandwich. 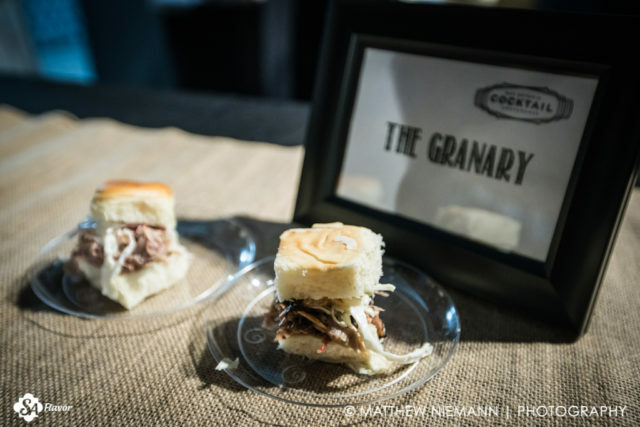 Don’t doubt the boys at The Granary—pulled pork slider was awesome.Photo by Matthew Niemann Photography. The charcuterie board from The Esquire was tremendous—they brought out the finest meats and cheeses! 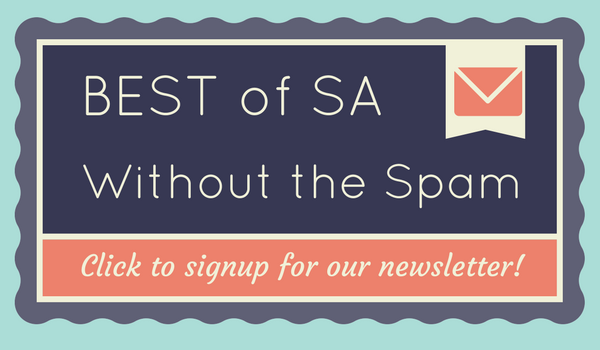 I got to talk with Houston Eaves a little bit about Mezcal and about John Garrett’s upcoming Sherry class this SACC. While the spirits are amazing the ability to have a spirited conversation (see what I did there) with an absolute expert is what keeps me coming back to the Cocktail Conference. 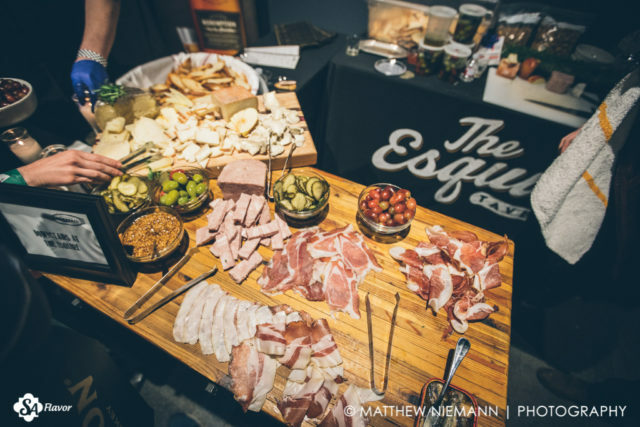 The Esquire charcuterie board was ridiculous!Photo by Matthew Niemann Photography. Another favorite cocktail of the evening was the Woodford Reserve Old Fashioned—the bartender really put on a show as he made it! I need to invest in a bottle of Woodford for my house Old Fashioned. 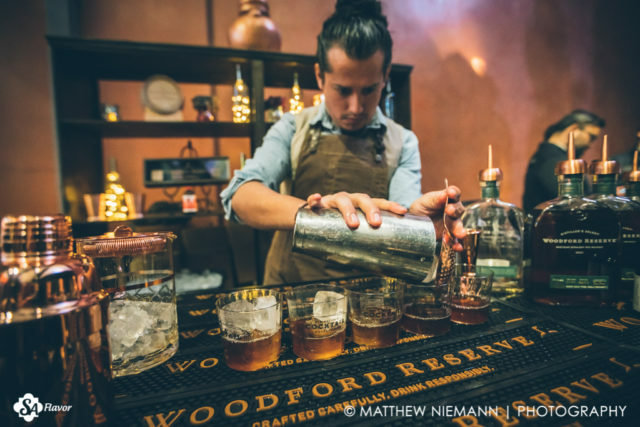 Woodford Reserve Old Fashioned.Photo by Matthew Niemann Photography. Close by was The Cookhouse SA with a chicken étouffée—now this was SOMETHING! 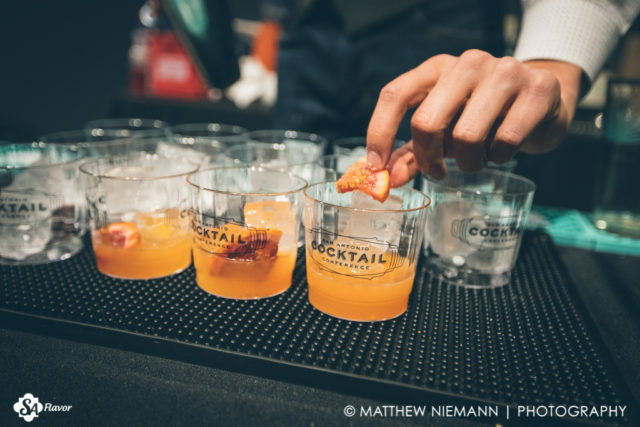 These guys always seem to make the best food at the Cocktail Conference and I need to make a trip to their restaurant in the New Year. 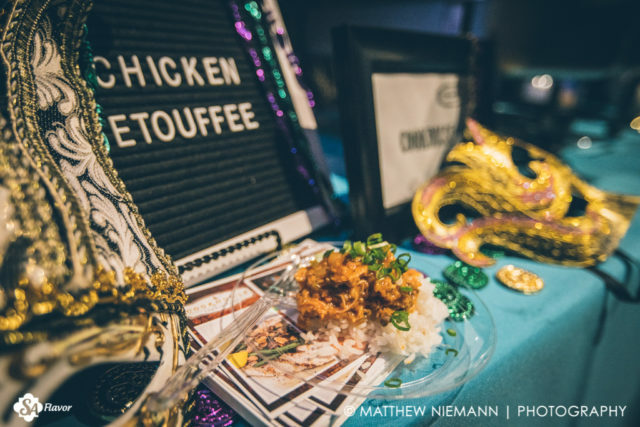 Chicken Etouffee from The Cookhouse SA.Photo by Matthew Niemann Photography. Believe it or not, the Malibu Lime made a pretty good Cuba Libre—might be my go-to beach mixer of 2018. 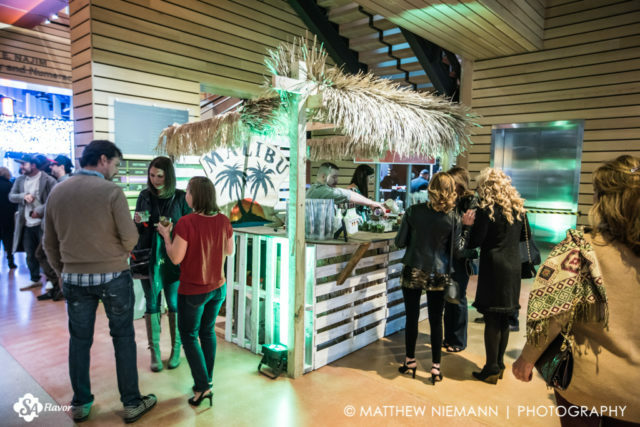 Getting the night started with some Malibu Lime.Photo by Matthew Niemann Photography. But the food item that seemed to go the quickest that evening was the chocolate mousse from Chocolazzo. Just the right size for an incredibly sweet dessert. 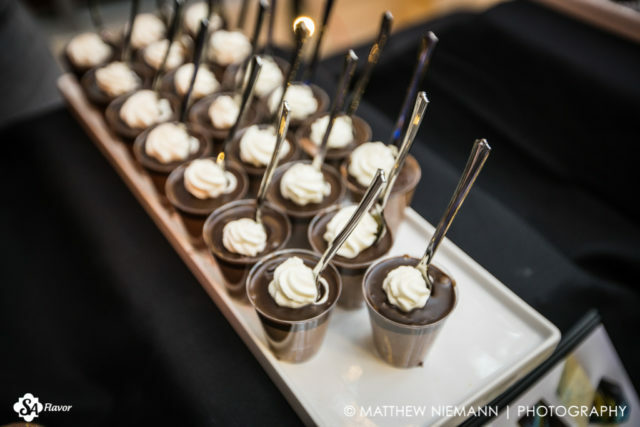 Nutella mousse from Chocollazo.Photo by Matthew Niemann Photography. We had a lot of fun at the Opening Party—I’ll be interested to see why they went a little smaller this year! Selina will be covering the Waldorf on the Prairie event tonight and I’m excited for the new Cocktails Under the Sea! Cheers San Antonio! Cocktail Conference party people at The DoSeum.Photo by Matthew Niemann Photography.